Apple is reportedly set to launch AppleCare+ extended warranties to Europe, bringing accidental damage coverage to the company's iPhone and iPad product lineups. A new iPhone comes by default with a 1-year warranty covering defects, such as a broken home or lock button. But customers can choose to opt in to AppleCare+, which extends coverage to accidental damage for a 2-year period. Until now, AppleCare+ has only been available to customers in the U.S. But Apple is now planning to provide its extended warranty coverage for both iPhone and iPad to customers in Europe, according to iGen. AppleCare+ for iPhone will launch "soon," Wednesday's report revealed. Extended warranty coverage for iPad is apparently also in the works, but it's unknown if it will debut at the same time or "a little later." 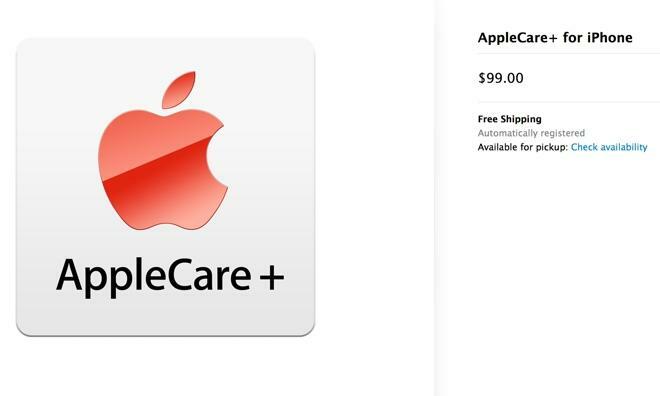 The site speculated that AppleCare+ insurance for iPhone will be sold for just under 100 euros. In the U.S., AppleCare+ for iPhone costs $99 and must be purchased within 30 days of a handset purchase, with an inspection of the hardware at an Apple retail store. The extended warranty coverage for iPhone and iPad includes the battery, included earphones and accessories, and the USB cable and power adapter. It also covers up to two incidents of accidental damage, in which the phone or tablet can be completely replaced for $49. AppleCare+ also includes software support for two years, covering iOS, iCloud, wireless networking, and help with features such as FaceTime, iPhoto, iMovie and other Apple-branded apps.